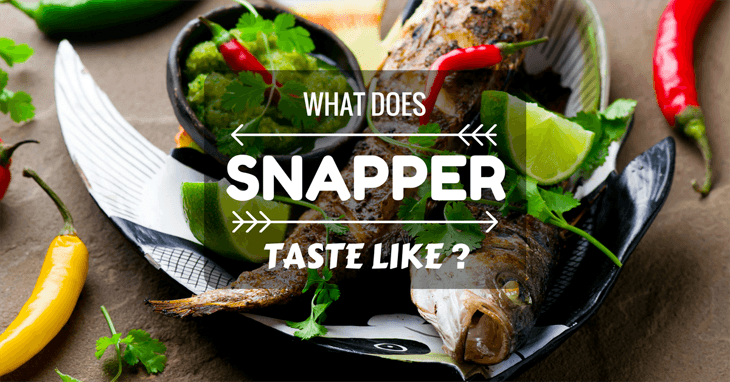 →What Does Snapper Taste Like and How to Cook It! If you are anything like me, you like to know what things might taste like before you put them anywhere near your mouth. I’m better about it now, but when I was a child up until teenage years, my eating habits revolved around asking: What does that taste like? Chicken. That’s all I ever heard. With meat, vegetables, and even when I asked my dad about fruit, my parents and siblings would always tell me it tasted like chicken. At the time, it worked, but as I got older, I began to realize that things didn’t taste like chicken unless it was chicken. So, when I wanted to know what snapper tasted like, I ate it. I ate it, and I loved it. I’m going to tell you what taste of this. Snapper is a unique fish, and it looks a bit weird. It’s a bulgy looking fish with a big mouth and teeth, which is where it gets its name from. 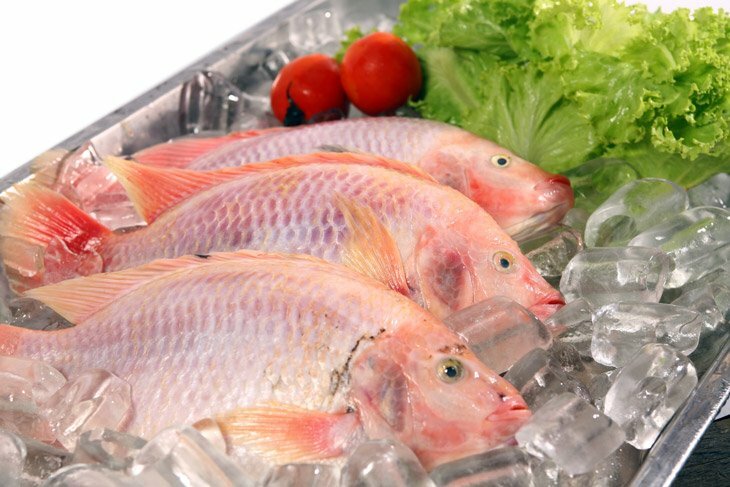 There are many varieties of snappers, and they do taste and look a bit different. You can find Red Snapper, White Snapper, Brown Snapper, Blue Snapper, Yellow Snapper, Pink Snapper, and Black Snapper. There are a lot of them out there! Most Snapper has white meat that is tinted pink from its red skin. The meat is mildly sweet, a lean cut, and is moist. The meat is flaky and tastes fresh. If you are buying your fish fresh from a fish market, there are a few markers to look for to make sure you are getting the best, fresh seafood for your money. The fishes’ eyes should be big, plump and bright. Do not buy fish that has sunken in, dried up eyes. If you do buy a fish that is gutted, check the backbone. The bloodline along the backbone should be bright in color. Oddly enough, fish should not smell ‘fishy.' It should have a fresh ocean smell, something along the salt water, but should be pleasant to smell. If you are buying filleted fish, the fillets should be firm, elastic flesh that when poked bounces back up. The meat should be moist with no browning and should appear to look translucent. There should be minimal bruising or red blotches on the fishes’ meat. There are a lot of ways to cook snapper. You can bread them and fry them up in some oil. You can season them and pan-sear them and even bake them. You can even grill fillets! Prepare you fish, make sure to gut your fish properly and remove the parts you don’t need, such as the head, backbone, small pin bones, and the fins and tail. After that, you just need to pick flavors, decide how to cook it and go from there! There are a lot of ideas on how to cook snapper. Maybe you’re having a hard time choosing, well lucky for you, I’ve picked out five of my favorite recipes for snapper! This recipe is amazing. If you are like me and you don’t mind a head on your fish, then this recipe is right up your alleyway! 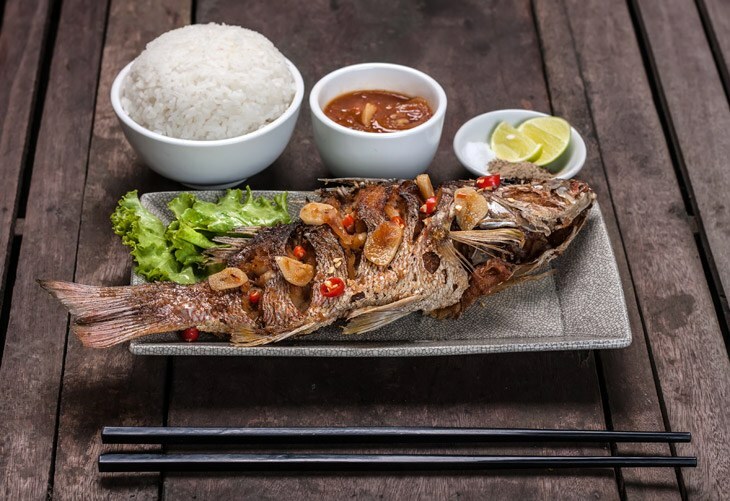 With the flavors of garlic, soy sauce, ginger, rice wine, and sesame oil on a beautiful baked fish; you just can’t go wrong! I love pecans and fish, and this is no exception. With this recipe, the pecans add a beautiful nutty crunch to the mild, sweet flavor of the snapper. When you get the flavors of the pecans, snapper, the herbs and seasonings and the bit of garlic that gives that spicy edge. This just works. Pair it with my favorite honey-mustard, and you’ll knock this dish right out of the park! This one sounds intimidating, but it is easy to make, and the outcome looks like you’ve been cooking away for days. Trust me on this one; it’s a winner! The salt-crust provides a delicious salty exterior that balances out the bitter spiciness of the eggplant puree. This recipe does take some time, but 2 hours is well worth the taste of this dish. Barbecue is delicious and popular. It’s something that you can find in most Americans’ kitchens. It’s sold everywhere, and some restaurants will even have several varieties of sauces. What makes barbecue so unique is that it doesn’t just come in a sauce form, but it can also be in a dry rub form and a marinade. This BBQ Snapper with an Easy Tomato Sauce won’t let down your dinner crowd! Zucchini is amazing fried. It’s so light and delicious, while still holding onto the fresh flavor of the vegetable, but the batter providing a delicious crunch! Butter fried is…well, maybe you can go too far when frying things, let’s get back to what matters: Fried Fish! Frying fish makes the fish juicier, flakier, and adds a dimension to the texture. When frying fish, you want to make sure you do it correctly and safely because you don’t want to burn yourself! 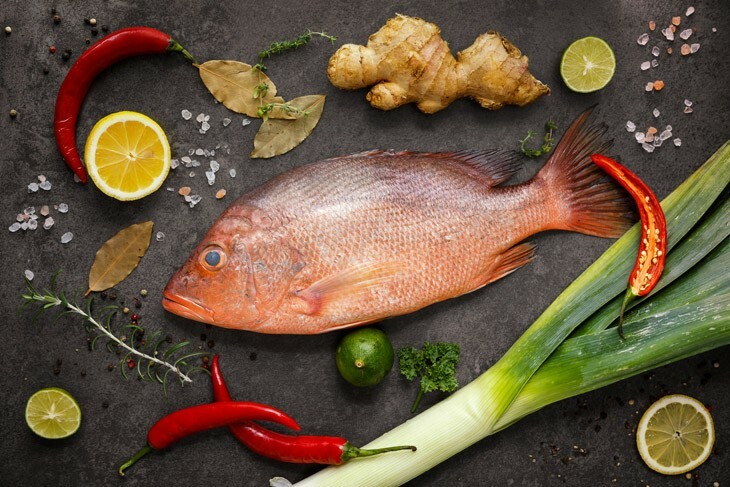 Snapper is a sweet, mild fish with a flaky meat. It’s juicy, slightly pink in color, and cooks well no matter how you try to cook it. Deep frying, pan frying, searing, baking, and even steaming are just some of the ways you can cook it. Let me know what you think of snapper and any of the recipes I’ve posted about it. Maybe you have a favorite way to cook snapper, and I’d love to know. If you want me to eat anything else and tell you what it tastes like, let me know. I love eating, and for you, I’d gladly do it again!